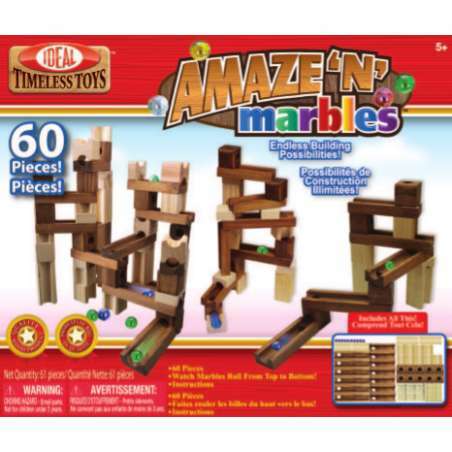 Ideal Amaze ‘N’ Marbles 60 Piece classic wood construction set is a fantastic educational toy that provides hours of fun while combining basic learning skills with coordination and organizational skills. 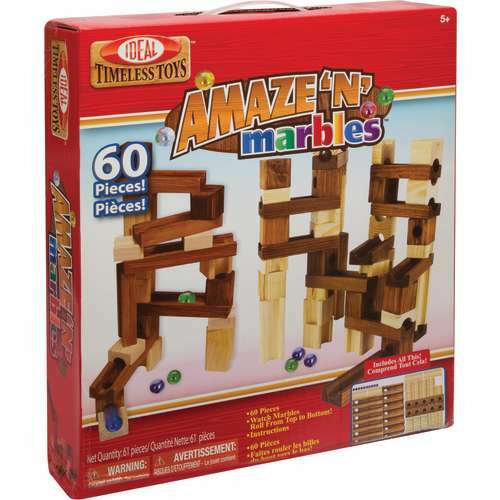 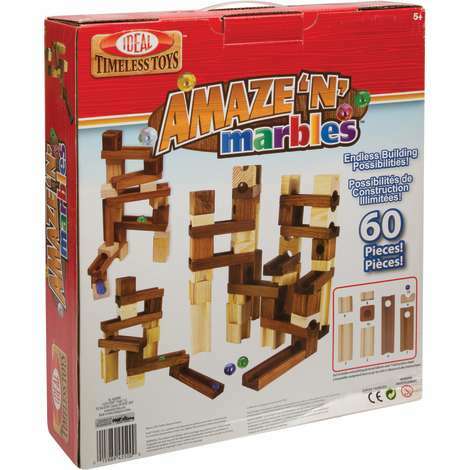 Made of all natural wood, this 60-piece construction set will have you creating endless maze combinations for the marbles to roll through. 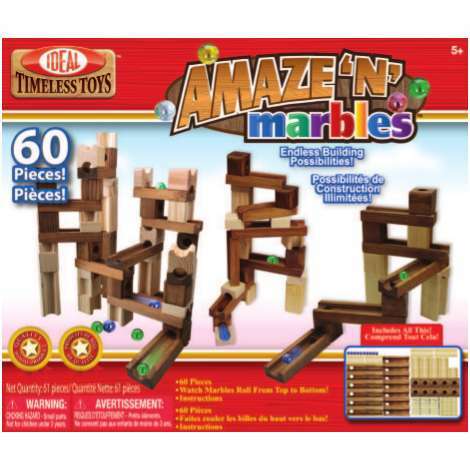 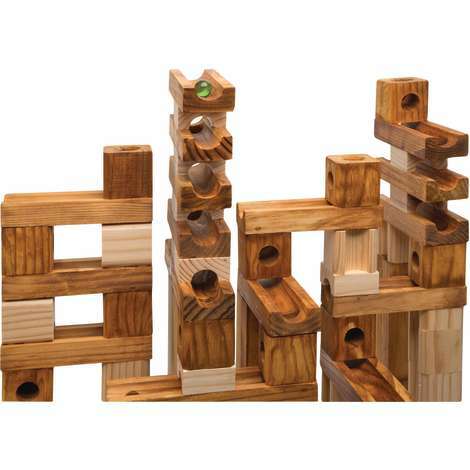 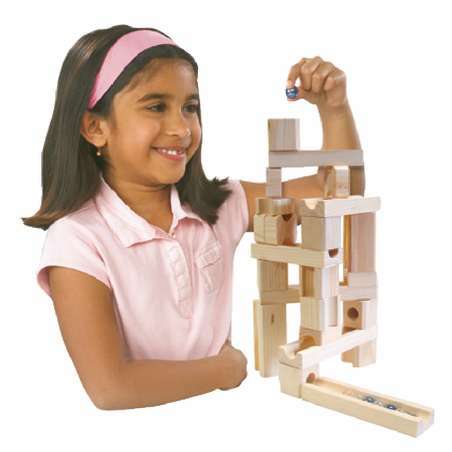 The gravity powered Amaze ‘N’ Marbles features specially designed slanting holes and channels within shaped wooden blocks to speed the rolling action of this unique build-it-yourself fun toy. The set comes in a sealed heavy cardboard box with a plastic handle for easy storage and portability. Recommended for children 5 years of age and older.